You might not think so, but yes, there is a way! If you’re one of the hundreds of thousands of people who have said “Bye!” to the cable bill, don’t despair. There’s still a way you can watch the World Series – the beloved culmination of every baseball season – for free, and cable isn’t necessary. Oh – and did I mention that you don’t even need a TV either? Grab your laptop and follow me through this guide to learn how to watch the World Series completely free. It’s all about the live streaming guys! If you want to watch the World Series, you shouldn’t have to feel deprived just because you don’t have cable. I ditched my cable bill a few years ago, and I haven’t looked back since. That’s because I always look for ways to watch the things I love without paying a huge cable bill every month for a bunch of channels I don’t need. My absolute favorite method for doing this is by subscribing to Sling TV. Sling TV is a streaming TV service that offers a wide range of some of the most popular channels to watch without needing cable. You can watch live TV and stream old episodes of your favorite shows. You can even search through the live TV programming and watch shows that aired a couple of hours ago. It’s really incredible what Sling TV can do and how many of my favorite shows it gives me at only a fraction of the cost of what I paid for cable. Sling TV starts at just $20 a month. That price includes a bunch of popular channels. You can choose the next package for only $25 a month, which includes some extra channels. From there, you can choose add-on packages that range from $5 to $10 per month. There are packages for kids, entertainment lovers, sports lovers, and more. You can even add on a DVR service for only $5 per month. The great thing about Sling TV is that you can tailor your package to your needs and still pay way less than you’d pay for most cable subscriptions. Pick and choose the channels you want and leave behind the ones you don’t. I pay only $30 a month with Sling TV and never run out of things to watch! Ok, now you know what Sling TV is. But how the heck can you watch the World Series on it? And how is it free if Sling TV costs money every month? First, Sling TV offers several channels, including local broadcasting and sports channels. It’s likely that you’ll find the World Series on one of them! Like many other streaming TV services, Sling TV offers new customers a free trial! If you’ve never had Sling TV before, you can sign up for a 7-day free trial. I know 7 days isn’t very long, but it’s a good amount of time to let you test out the service and make sure it’s for you. And, it may also be enough time for you to watch the world series (if it doesn’t run through the full seven games of course!). You’ll need a credit card to start your free trial because, once the trial’s up, Sling TV will charge the card the regular subscription price. But, if you cancel before your free trial runs out, then you won’t have to pay a cent. The great thing about Sling TV is that you don’t need a TV to watch it. You can also watch via the mobile app or on the website itself! You may also want to find out if any of your friends or family has a Sling TV account before the World Series starts. If so, see if you can borrow the account, just in case the games last longer than your free trial does. This way, you can still see the final games thanks to the help of friends and Sling TV. Read Also: 4 Best Ways to Cut the Cable Cord and Get Free Cable TV Legally! Sling TV may be one of the best ways to get the World Series for free, but it’s not the only way. Check out these other legit options! It may not be as convenient as watching the games from your couch, but your local bar will probably have the World Series games on at least one of its huge TVs. Grab some friends and head to the bar to watch the games! YouTube TV is YouTube’s version of Sling TV. It works similarly, offering a basic package with several live channels for $40. You can then add on some other channels for extra monthly costs. YouTube TV offers live FOX broadcasting, which is where you’ll usually find the World Series! Like Sling, YouTube TV has a free trial that gives you some time to test out the service before having to pay for it. The trial is also for 7 days, so you should subscribe to it right before the games start. If you love the service, keep it for future use (and still save money over most cable services! ), but if you don’t think it’s for you, just cancel it before your trial ends. FuboTV was created for sports fanatics! This subscription TV service offers just about any channel a die-hard sports fan would want. So if you think that you may want to drop your cable company but are concerned about how you’d watch all your favorite sports, this service may be your best option. The great part is that you can get a free 7-day trial of FuboTV if you’re a new customer. Sign up before the World Series, and you may get the full run for free. However, FuboTV also offers a discount on your first month for only $19.99. It may be worth it to you just to pay the $20 for the month of the World Series just to make sure you can catch all the games! You may find that it has everything you need to calm your sports cravings, so you might just want to keep it around after that. The regular price is $44.99 per month. Hulu now has a Live TV subscription package too. For $39.99 per month, you’ll get more than 50 channels, including sports channels where you can catch the games. To keep up with the competition, Hulu also offers a free trial for 7 days, so you can try it all out. PlayStation Vue is another streaming service that offers sports channels, so you can watch the World Series from the comfort of your home. The good news is that you actually don’t even need a PlayStation to sign up and use PlayStation Vue. The app is also available on Roku, Apple TV, and some other streaming devices. The cost per month starts at $39.99, but this one offers you two full weeks of a free trial, which means that you’ll definitely have enough time to watch the full Series for free. MLB.tv is the service you’ll want if you’re a die-hard baseball fan. This streaming service can let you watch all the games of your favorite team for $89.99 for the full season or watch every game for $115.99 for the season. This obviously isn’t a way to watch the World Series for free, but if you never want to miss a game, then this may be your cheapest option. Read Also: Save Money Every Month Watching TV Without Cable! There you have it – seven ways to watch the World Series for a low price or completely free! I love TV subscription services because they’re so easy to tailor to your needs. You can pay for only the things you love to watch and not pay for a bunch of channels you’ll never tune into. And most of them know how important it is to offer a free trial to test out their services before committing. That’s great for you if you want to catch the games, but it’s also a great way to find the service that you might want to stick with in the future (so you won’t have to go through all the options again every year when the World Series is on!). Do you enjoy watching the World Series? 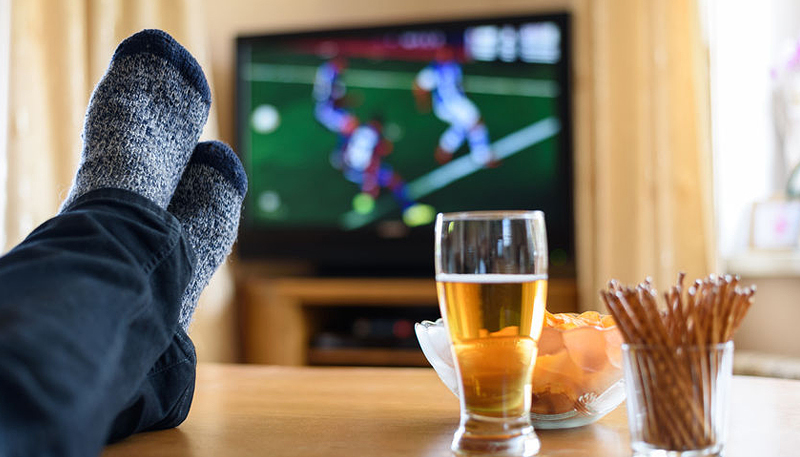 What’s your preferred method for watching the games? Let us know in a comment below, and also tell us if you know any other methods we didn’t cover!